Marc R. Ginsberg was born in 1958. Following graduation from the University of Florida, with Honors; Mr. Ginsberg attended the University of Florida Law School graduating in 1981. He was admitted to the Florida Bar in 1981 and immediately entered the active practice of law. 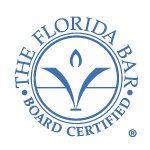 In 1992, following successful completion of the rigorous trial, practice, and testing requirements mandated by the Florida Bar; Mr. Ginsberg was awarded the privilege of Florida Bar Board Certification in Civil Trial Law. Mr. Ginsberg has consistently met the requirements to be re-certified during each ensuing five year re-certification date. Board Certification authorizes Mr. Ginsberg to represent that he is an expert and specialist in Civil Trial Law. Mr. Ginsberg focuses his civil trial practice in the areas of Medical Malpractice; Product Liability; Automobile Accidents; Truck Accidents; Boating Accidents; Drowning Accidents; Cruise Ship Accidents; SCUBA; Jet Ski, & Parasailing Accidents; Ocean, Fresh Water, and Swimming Pool Accidents; Sports Accidents ;Electrocutions; Industrial, Transportation Facility, and Construction Site Accidents; Premises Liability; Premises Security; Aviation Incidents; Insurance Bad Faith; and insurance coverage litigation. Mr. Ginsberg has litigated cases in many Florida Circuit Courts including the Circuit Courts of Miami-Dade County, Broward County, Palm Beach County, Pinellas County, Marion County, Duval County, and other counties as well. Mr. Ginsberg is a member of the Federal Trial Bar of the United States District Court for the Southern District of Florida, and has litigated and tried cases in that court, as well as litigated cases in the Middle District of Florida and the Northern District of Georgia. Mr. Ginsberg has been involved as an Appellate attorney in the Florida and Federal Appellate courts, including the Third District Court of Appeal, the Fourth District Court of Appeal, the Florida Supreme Court, and the United States Court of Appeals for the Eleventh Circuit.